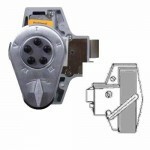 The Kaba 9193000-26D-41 US26D Pushbutton Lock Lever Inside is a Simplex mechanical pushbutton lock o.. The Kaba Simplex® 5010B Exit Trim Grade 1 Mechanical Push Button Single Access Code Lever Lock w/ Be.. The Kaba Simplex® 5010C Exit Trim Grade 1 Mechanical Push Button Single Access Code Lever Lock w/ Co.. The Kaba 5010M Exit Trim Grade 1 Mechanical Push Button Single Access Code Lever Lock w/ R/C Medeco/.. 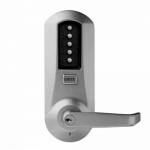 The Kaba Simplex® 5010R Exit Trim Grade 1 Mechanical Push Button Single Access Code Lever Lock w Sar.. The Kaba Simplex® 5010S Exit Trim Grade 1 Mechanical Push Button Single Access Code Lever Lock w Sch.. 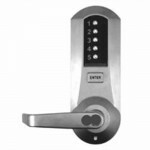 The Kaba Simplex® 5010XK Exit Trim Grade 1 Mechanical Push Button Single Access Code Lever Lock w Ka.. 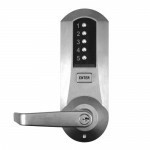 The Kaba Simplex® 5010XS Exit Trim Grade 1 Mechanical Push Button Single Access Code Lever Lock w/Ka..
5031B Kaba Simplex® Mechanical Pushbutton Grade 1 Cylindrical Lever Lock w/ Best and Equivalent IC K..
5031C Kaba Simplex® Mechanical Pushbutton Grade 1 Cylindrical Lever Lock w/ Corbin Russwin Key Bypas..
5031M Kaba Simplex® Mechanical Pushbutton Grade 1 Cylindrical Lever Lock w/ Medeco/ASSA/Yale/Abloy(5..
5031R Kaba Simplex® Mechanical Pushbutton Grade 1 Cylindrical Lever Lock w/ Sargent(less core) Key B..
5031S Kaba Simplex® Mechanical Pushbutton Grade 1 Cylindrical Lever Lock w/ Schlage(less core) Key B..
5031XK Kaba Simplex® Mechanical Pushbutton Grade 1 Cylindrical Lever Lock w/ Kaba Cylinder (Kaba 90 ..
5031XS Kaba Simplex® Mechanical Pushbutton Grade 1 Cylindrical Lever Lock w/ Kaba Cylinder (Schlage ..
5041B Kaba Simplex® Mechanical Pushbutton Grade 1 Cylindrical Passage Lever Lock w/ Best and Equival..
5041M Kaba Simplex® Mechanical Pushbutton Grade 1 Cylindrical Passage Lever Lock w/Thumbturn or Mede..
5041S Kaba Simplex® Mechanical Pushbutton Grade 1 Cylindrical Passage Lever Lock w/Thumbturn or Schl..
5041XK Kaba Simplex® Mechanical Pushbutton Grade 1 Cylindrical Passage Lever Lock w/Thumbturn or Kab..
5041XS Kaba Simplex® Mechanical Pushbutton Grade 1 Cylindrical Passage Lever Lock w/Thumbturn or Kab..